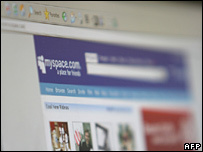 More people back CCTV and share details on websites like MySpace than are worried about protecting privacy, an MPs' inquiry into surveillance heard. The MPs challenged civil liberty groups to come up with proof of a growing concern about protecting privacy. Labour MP David Winnick said he got many letters requesting CCTV cameras and none complaining about them. Eric Metcalfe, of human rights group Justice, said: "I think there is public unease, I don't think there's enough." The Home Affairs Committee is looking into whether Britain is becoming a "surveillance society". Dr Metcalfe said people did not realise the impact of a surveillance society until it directly affected them, for example if they were wrongly arrested on suspicion of abuse, and years later were turned down for a job working with children. During a hearing on Tuesday, Mr Winnick asked Shami Chakrabarti and Jago Russell - both of Liberty - to justify their statement that there was a growing unease about the use of surveillance. Mr Russell told MPs there was anecdotal evidence, some polling evidence and the "hundreds and hundreds" of press requests Liberty gets on the issue, adding that he was sure MPs received complaints. Mr Winnick replied: "I can't recall a single occasion, receiving a letter from a constituent, complaining about a lack of privacy. " Instead he said, he got "a number of letters" asking for CCTV, saying the large majority of people believed they could help fight crime. Mr Winnick also pointed out young Britons' "remarkably casual attitude to publishing large amounts of personal information" on the Facebook and MySpace social networking websites. "It doesn't seem to me to express a fear that their personal privacy is in some way being invaded," he added. Dr Metcalfe replied that there was a need for safeguards, adding: "I don't think that a lot of those young people think very clearly ahead about the way this personal data may be used." Ms Chakrabarti said Liberty received letters about taking fingerprints from children and the DNA database, but she conceded: "I don't think there's going to be a revolution about CCTV." She blamed this on apparent cultural differences between Britain and other European countries, adding in Germany "literally there will be riots" if CCTV cameras were installed in the wrong place. Cameras went up in Munich for Oktoberfest, but were removed again afterwards, she said. She there had to be "proportionality" and cameras ought to be better regulated. And she said: "The threats don't just come from government or big business, if we are not careful we will rear a generation of young people who haven't really known the level of privacy as part of dignity, as part of respect." "People can take pictures on mobile phones, put pictures on the internet of their girlfriends in a state of undress." There are up to 4.2m CCTV cameras in Britain - about one for every 14 people. The UK also holds 3.6 million DNA samples, which is the world's biggest database.